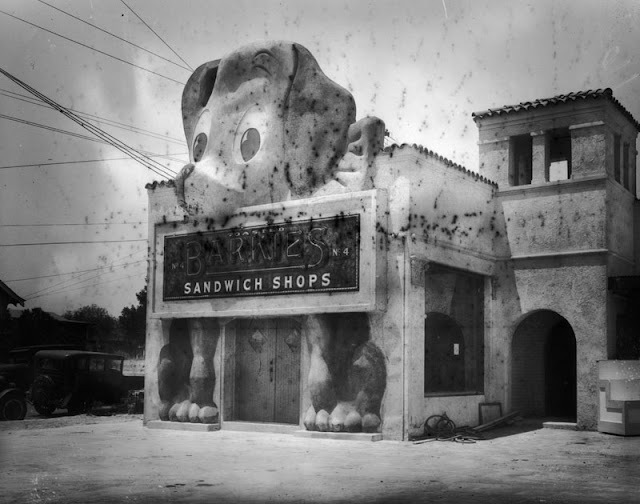 In Silver Lake, at 3649 Beverly Boulevard, there once stood a dog — larger than most household canines and apparently confused about the circumstances of his existence. He was known as the Ponderous Pup, and he was the mascot to a 1920s-era Los Angeles restaurant chain, Barkies Sandwich Shop. 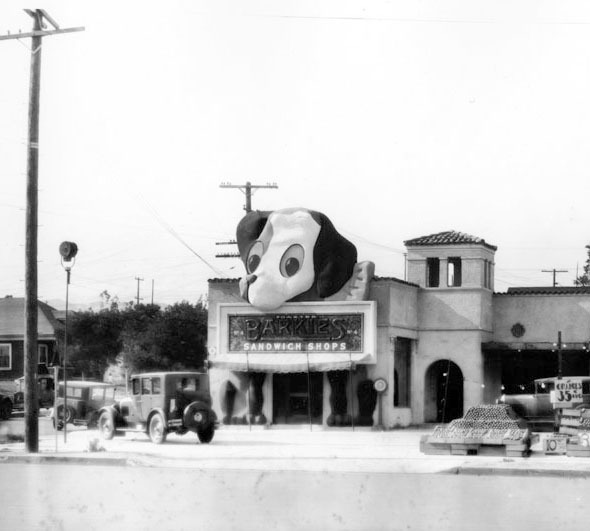 The address still exists today, though tragically far less dog-centric. But let us cling together in support of the memory none of us are old enough to actually remember. 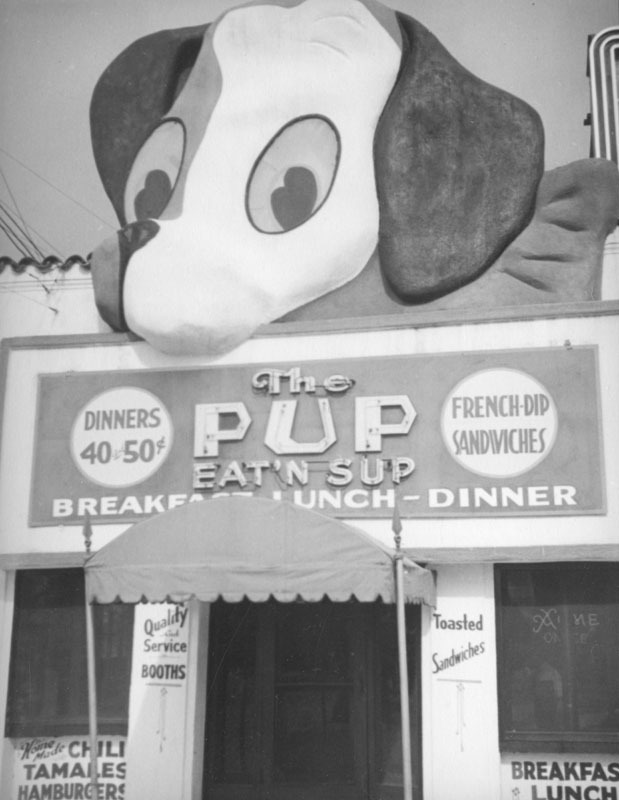 Here, courtesy of the L.A. Public Library photo archive, are three shots of the Ponderous Pup back in his heyday. May he be chasing giant cars in heaven and/or licking his oversized privates in hell.